This could be a big waste of time if you get hooked, but then again things that make me happy I don’t consider wasteful. Let them sing it for you is a site that croons whatever lyrics you type, pulled from different pop songs. The “I” from Chris Isaak’s Wicked Game is pretty funny. More insanely clever drawings from Marc Johns. This one is part of his new bathroom themed series. Many people know us as a trendspotting blog and communicator of creative inspiration. But here’s a lesser known fact – we provide consulting that supports real business needs and helps organizations and brands stand out to reach their awesome potential. Just call us creative problem solvers. 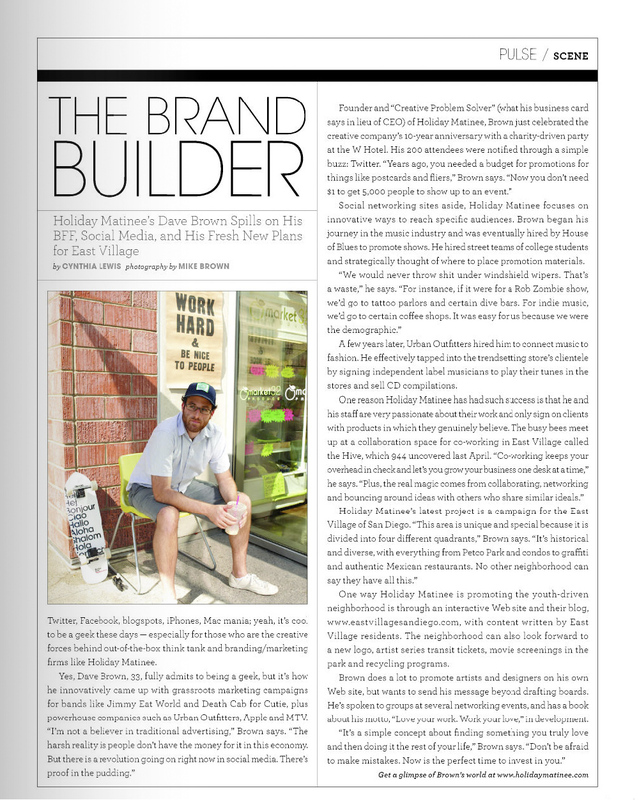 944 Magazine got the scoop on the lesser known side of Holiday Matinee – everything from our beliefs in non-traditional advertising to our recent campaign that re-branded the East Village neighborhood of San Diego. Read about that here and other recent projects on our work page. We’ve got ideas for you.